I just backed a the UNTAMED - Print Hardcover Kickstarter campaign (started Feb-17...last until March something). A hardcover rendition of Stranger Comic's Untamed series. Very grim, artsy, Sword & Sorcery. The book will retail at $29.99, but as a Kickstarter Special, you can get it signed and shipped for $25. The first one was made into a Motion Graphic, on Youtube: ~11min (see embedded video). Watch it! 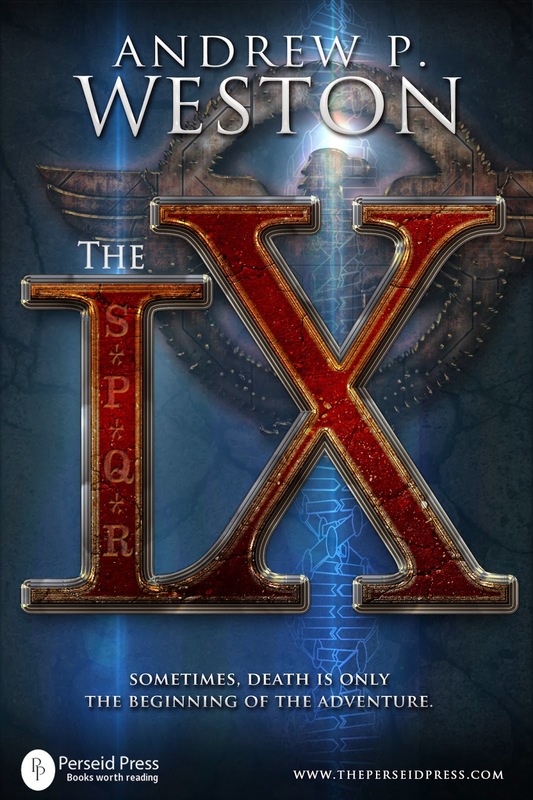 If you like your science fiction fast paced and gritty, full of realistic action and dark humor in the face of overwhelming odds, then The IX is definitely the epic for you. Fans of Julian May’s “Saga of the Pliocene Exiles,” Robert Heinlein’s “Have Space Suit, Will Travel”, and Jerry Pournelle's “Janissaries Series” will love this tale. It combines the divergent elements of the past, present, and future, and blends them together into a slick and stylish package that will leave you breathless and hungry for more. Arden, home to a culture that has existed for thousands of years and which spans dozens of worlds. Regardless, their sophistication cannot prevent calamity at the hands of an unstoppable nemesis. Known only as the Horde, this enemy has proven relentless. They have not only stripped the outer colonies bare, but now threaten the existence of the entire Ardenese way of life. Realizing there is nothing they can do to prevent the inevitable march toward extinction, the Ardenese governing body comes to a drastic decision. They gather together at their capital city, Rhomane, and place their remaining genetic heritage in a vast underground ark, in the care of an advanced AI construct called the Architect. Its mission? To use Rhomane’s dwindling reserves and safeguard their race by reaching out across time and space toward those who might be in a position to help reseed a devastated world at some time in the future. Fight or die! Despite a host of seemingly insurmountable obstacles, this group of misfits manages to turn the tide against a relentless foe, only to discover the true cost of victory might exact a price they are unwilling to pay. Andrew P Weston is a military and police veteran from the UK who now lives on the beautiful Greek island of Kos with his wife, Annette, and their growing family of rescue cats. 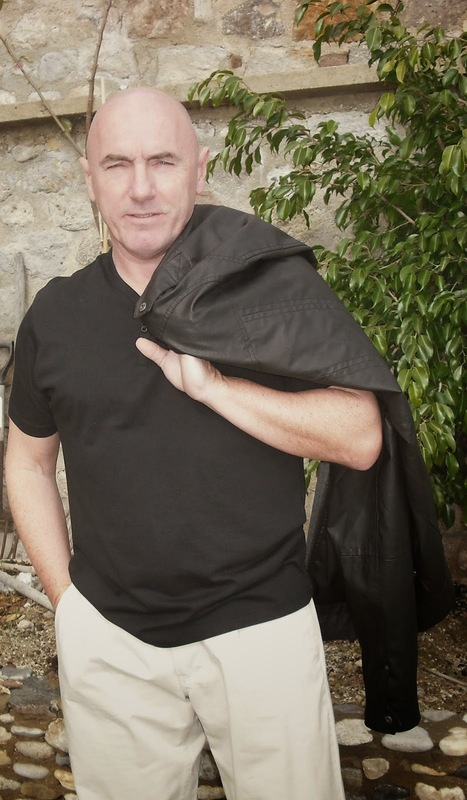 A criminal law and astronomy graduate, he is a member of the British Science Fiction Association and British Fantasy Society, and is a contracted writer of both fiction and poetry for several publishing houses and a growing number of well established magazines. Griots: A Sword and Soul Anthology - Review by S.E. Awakening by Valjeanne Jeffers: A coming-of-age tale about a feisty heroine; nice sword & sorcery. Skin Magic by P. Djeli Clark: a dose of Lovecraftian horror and aesthetic magic make this desert journey very entertaining. The Belly of The Crocodile by Minister Faust, a vulgar, first-person perspective of a fantastic tale. The General’s Daughter by Anthony Nana Kawmu: a trip to the Underworld, a warrior goes to save a loved one from death. The Queen, The Demon, and The Mercenary Ronald Jones’s battling, demonic armies = engrossing sorcery and battle. The Three-Faced One: Charles R. Saunders’s Imaro tale demonstrates the best storytelling, from its tapping into African history/myth coupled with excellent pacing and gripping style. More Sword & Soul: Milton J. Davis leads MVMedia which is churning out more Griots (i.e Griots: Sisters of the Spear) and a host of other Sword & Soul media, from Young Adult novels to Video Games! Check out their offerings at the (MVMedia Website and Facebook page for Sword & Soul. Quibbles: I read the Kindle version which had two outages: (1) Scene breaks were not marked; hence, paragraphs from different scenes that should have had an additional return/space or a marker, instead ran together; this leads to repeated confusion in several stories; (2) There are credits for many artists, but there is no art in the Kindle or even alternate text. Recommendation: New to Sword & Soul? I recommend reading either version of Charles R. Saunders's Imaro. Then it would be a coin toss continue with either (a) Imaro:2 (The Quest for Cush) or (b) branching out to find like-minded authors with very different styles with Griots: A Sword and Soul Anthology. Finally got a Twitter feed established for S.E.Lindberg & Dyscrasia Fiction. I hope all these social media sites are sufficient! Twitter: @SethLindberg : Tag "#dyscrasia"